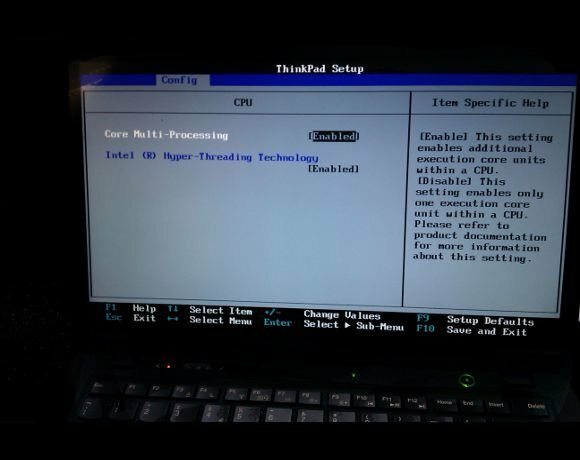 Before I got started I needed to enable Core multi-threading and Intel Hyper-threading Technology in the Bios of my Lenovo X1 Carbon. This laptop uses an Intel Core i5 processor and is virtualisation-ready, although I needed to make a change to the Bios to get it going. Other systems will require a similar change if hyper-threading/virtualisation support has been disabled. One approach in achieving a balance and redrawing the line between personal and corporate is to reset the baseline. Allow users to use their own tablets and smart phones but set the parameters for use. For example, why not allow corporate VPN connectivity from your iPad to RDP to your office desktop, why not allow and encrypted email client to be installed on the iPhone? Allowing this, might come with the tradeoff that if your device is lost or stolen the IT department is at liberty to remotely wipe your device.